I could finish relatively early on a weekday evening, so it was a good opportunity to get us in the queue for new restaurants that have joined the 'no reservation' trend. At around 6pm the queue is usually 1-1.5hrs, I got there just before 6pm and got the only 2 empty seats. The tiny restaurant offer counter seating only, with the kiln at the back of the bar, churning out small dishes of Southeast Asia / Chinese inspired food. 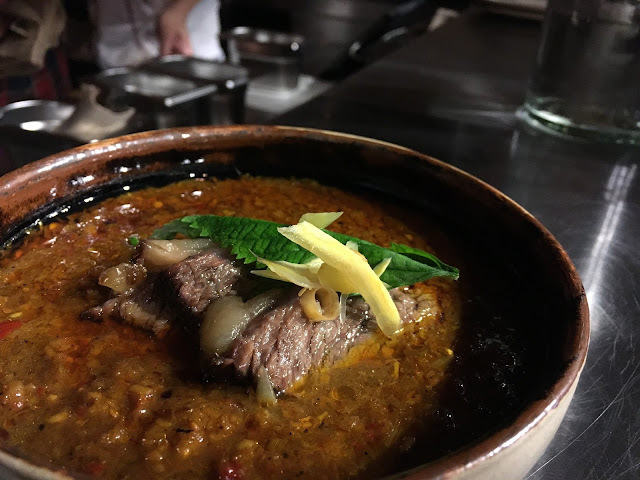 It's the same people behind Smoking Goat that made its name serving Thai barbecue food. So the expectations were high. I started with a glass of pink bubbly, much better than his French Cabaret Sauvignon and Grenache. The small lamb skewers were loaded with cumin and spice. It reminded me of the lamb skewers in Silk Road or My Old Place; except the Chinese restaurants only charge £1 each, double the size and twice as much flavour because they have small morsels of fat on the meat. The lamb could have been more tender here. The dish was scattered with colourful peppers, seemingly innocent and harmless. I went straight for a red one thinking it was the usual sweet capsicum pepper... Silly me. It was a full on hot chilli pepper, in fact, there were a few types of exotic chilli peppers on the plate with the sole purpose of knocking my senses out, each with a slightly different depth in heat. It was no surprise then that the pepper seed coated mackerel was an explosion in mouth. The fillet itself was delicate, but all fishiness and freshness was drowned out by the spices. It was a tad too much for me. 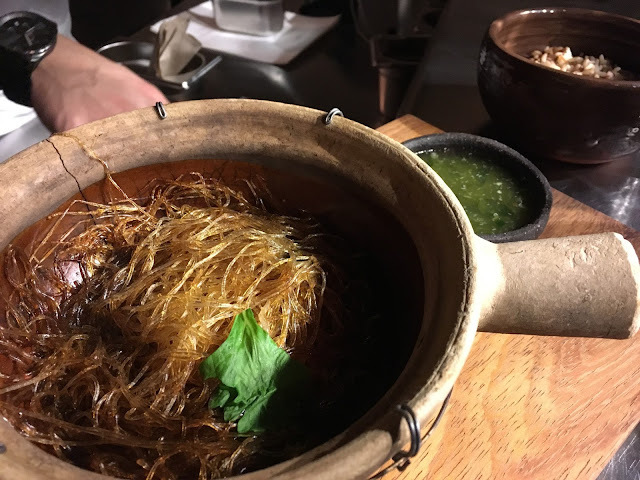 The claypot glass noodle was their must-try signature dish. Honestly, I found it quite underwhelming; the dry and overcooked vermicelli had lost its bounce, became brittle and more like a tongue-piercing tool, failed to soak up the sauce that brought flavour. The brown crab meat was lost in the small pot of nothingness, and the three wafer thin pieces of pork belly buried under the pile of hay-like noodle were just as sinewy and parched; the sharp piquant watery dip did very little to save the dish. Not worth the trouble. 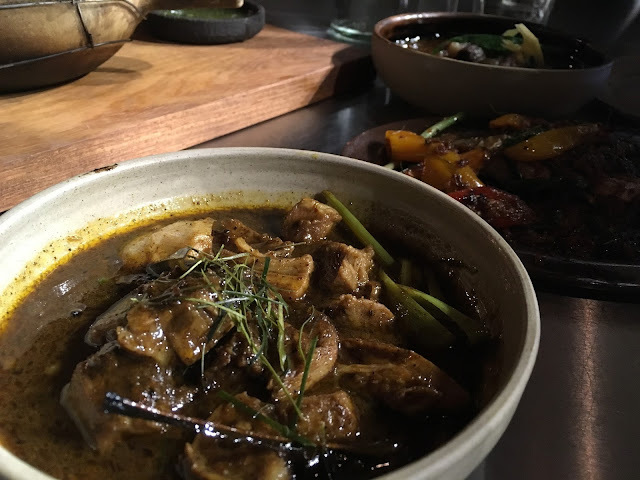 We chose 2 pork curries as Kiln boasts working with whole pigs and hoggets. The Burmese curry was fragrant and vibrant with spices, pungent and raw, throwing punches of flavours without the mellowing coconut milk to blend the flavours. The short rib was tender, we could cut through the slice with a spoon effortlessly. And the reason why we had to half it was because there were only 3 meagre pieces of meat on the plate... £8.50 for about 60g - seemed a bit dear, considering I could get 100g of chateaubriand for £9. The roast long pepper curry was less remarkable, there was too much turmeric in the curry concoction, too much ginger and not enough fiery peppery punch. There were more cubes of pork shoulder in this dish, but the meat was quite dense and lean unless it was attached to a thick wedge of lard. The flavour didn't penetrate into the pork, leaving much to be desired. We left Kiln feeling disappointed; couldn't quite justify the hype. The dishes didn't resemble anything I had in Burma and Laos, and Yunnan aren't known for curries. 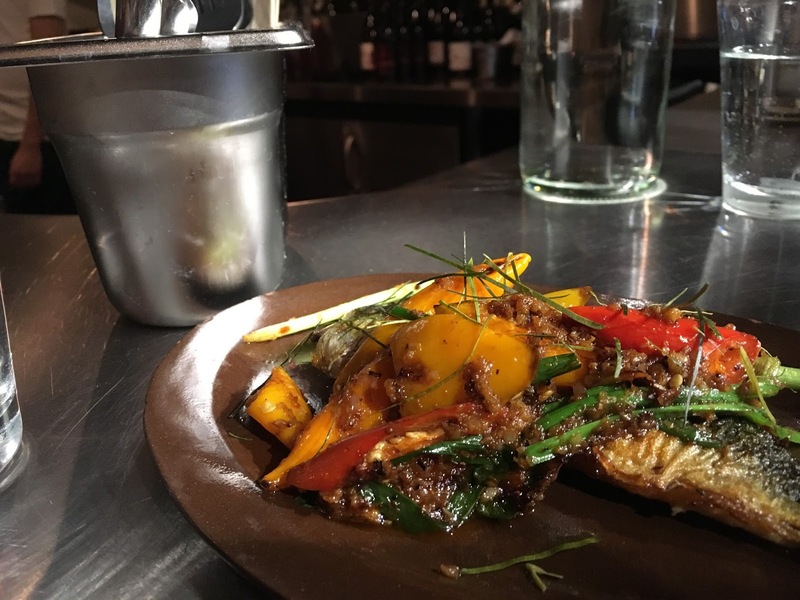 I understand the kitchen has tried to combine different elements by covering various regional cuisines, but the results lacked chemistry and surprises. 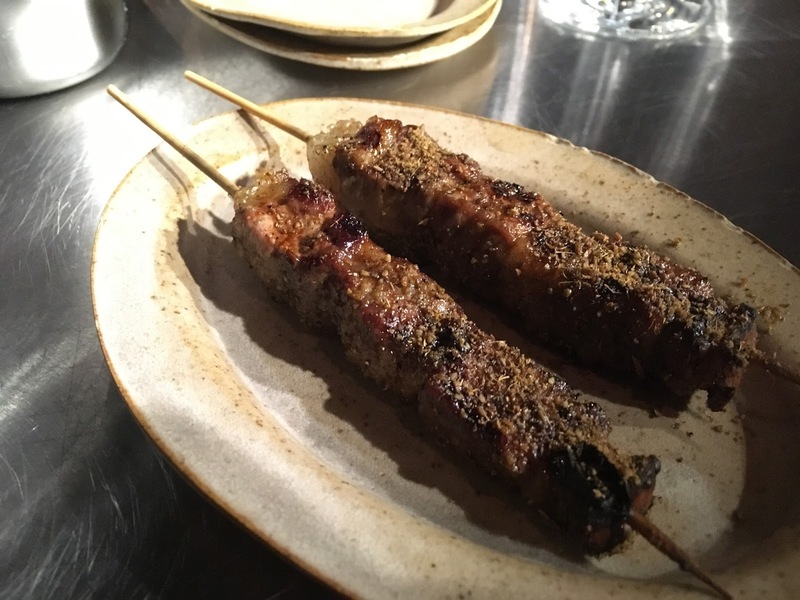 Compared to the bold flavours and feasting dishes at Smoking Goat, Kiln is somewhat pretentious and restrained. With the no reservation hassle and the endemic queuing issue in London, I'd give this a miss. Sad to hear that you guys had a bad experience there. I have seen many restaurants which are only good by name not by their food. Pleasant! much obliged to you to such an extent! Much obliged to you for sharing. Your blog entries are all the more intriguing and instructive. I think there are many individuals like and visit it routinely, including me.